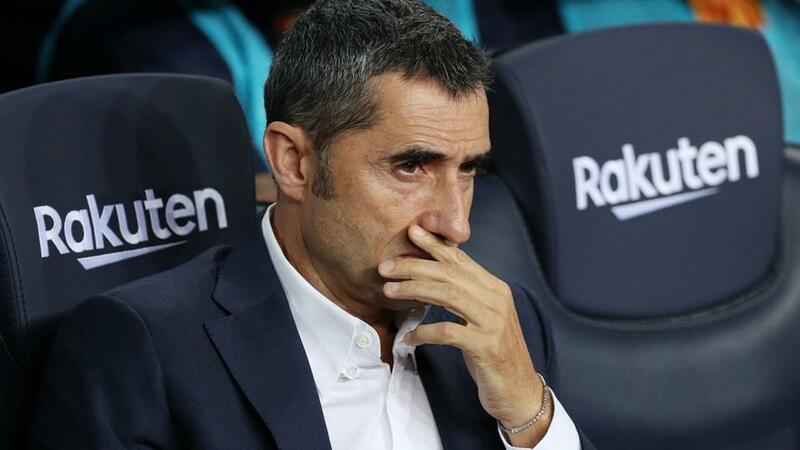 Will Ernesto Valverde mastermind a win for Barcelona when they host Inter? Dan Fitch thinks that Barcelona will cope just fine without the injured Lionel Messi, when they take on unbeaten Inter. "The Italians have scored in each of their last seven and can continue this run against a Barcelona defence that have conceded is six consecutive games." The two teams at the top of Group B meet on Wednesday when Barcelona and Inter put their perfect records on the line. Of the two, it's Barcelona that have been the most convincing in this competition. They beat Spurs 4-2 at Wembley in their last outing, having previously crushed PSV 4-0 at home. Their domestic form has been less consistent. Though top of La Liga, Barca have only won five of their first nine games (D3 L1). Inter's two Champions League wins have been less comfortable. On both occasions they have had to come from behind to record 2-1 victories. Luciano Spalletti's team have developed a useful habit of scoring late winners, which continued at the weekend when a 90th minute goal against AC Milan by Mauro Icardi, saw them secure a seventh consecutive victory. Lionel Messi broke his arm in the 4-2 win against Sevilla on Saturday and will be unable to play, yet Barcelona tend to be stronger in Messi's absence than you might imagine. When Messi plays, Barcelona's win percentage in the Champions League stands at 60%. In the 22 games that he's missed since making his Champions League debut in 2004, that figure rises to 77%. From 22 matches without Messi, Barcelona have only lost three times (W17 D2). We have to assume then that Barca will win at home, but their odds are not attractive against an in-form Inter side. The Italians have scored in each of their last seven and can continue this run against a Barcelona defence that have conceded is six consecutive games. Back a Barcelona win and both teams to score at [3.0].